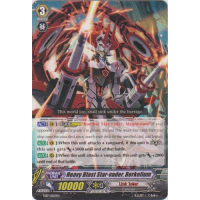 [AUTO](VC):When this unit attacks a vanguard, if this unit is [Legion], this unit gets [Power] +5000 until end of that battle. 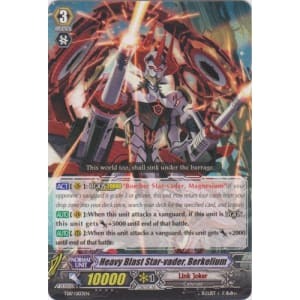 [AUTO](RC):When this unit attacks a vanguard, this unit gets [Power] +2000 until end of that battle. This world too, shall sink under the barrage.